In my elementary school library, it became a tradition the week before Thanksgiving to put a penny in my shoe and invite the children who visited the library to do the same. The challenge: Keep the penny in your shoe while you are wearing it until Thanksgiving Day. The purpose: Every time you feel the penny think of something you are grateful for. The discussion with the children as the basket of pennies circled the group was always enlightening and heartwarming. Gratitude for parents, family, friends, food and homes were always expressed. I would mention gratitude for books and the ability to read. We would always spend some time talking about our favorite books. Then more unusual feelings were expressed like gratitude for eyebrows because a friend lost her hair due to cancer treatments and she doesn’t have eyebrows to stop the sweat from dripping in her eyes. Gratitude for a doctor that helped save a loved-one’s life. Gratitude for a night light because the dark is scary. The second year I taught this library lesson, when the basket reached a particular sixth-grade boy he simply passed the basket on to the next student. The boy said he didn’t need a penny because he still had one in his shoe from last year. Surprised and impressed I asked why. He said the penny helped him remember an older sibling he was grateful for who was away from home for an extended period of time. He planned to keep the penny in his shoe until the sibling returned home. 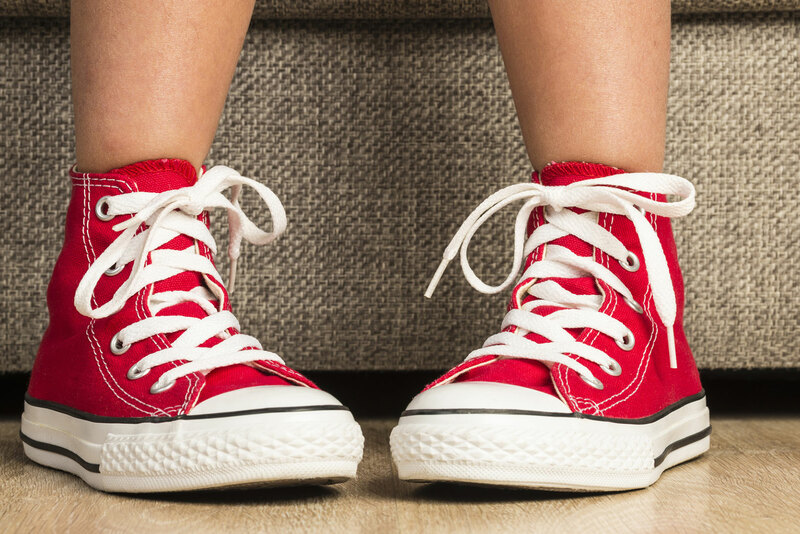 The following years, there were always a couple of students who had kept their penny in their shoe for the entire year for a very special reason. As the children walked around the library I would often hear, “I can feel the penny in my shoe,” followed by another student asking, “What are you grateful for?” Children love to have a chance to talk about what matters most to them. This became a beloved tradition in our library and might be a fun tradition to start with your family. So tuck a penny in your shoe and let the grateful thoughts flow. 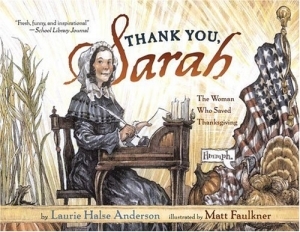 Here are a couple of picture books I love to share around Thanksgiving. 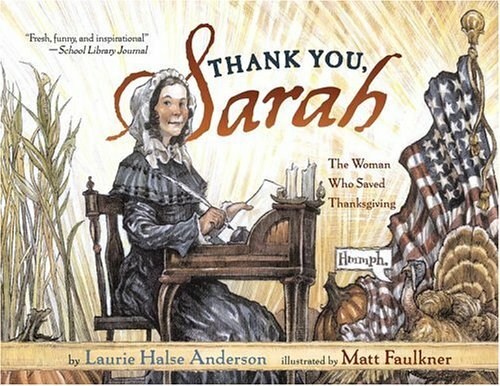 This nonfiction title by an incredible author reminds us that a “bold, brave, stubborn and smart” woman saved Thanksgiving for all of us. 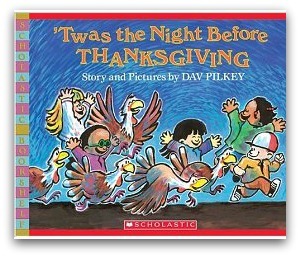 This delightful book is a great read aloud and makes everyone smile, especially when they discover how the children hid the turkeys. Enjoy! This is terrific Paula. You should post it on the Show Us the Humanity group Facebook page. Ah sweet moments with books, children and an amazing adult who can help connect the beauty of humanity and what it is to remember to be grateful!